Get an instant printout for immediate memory-making. 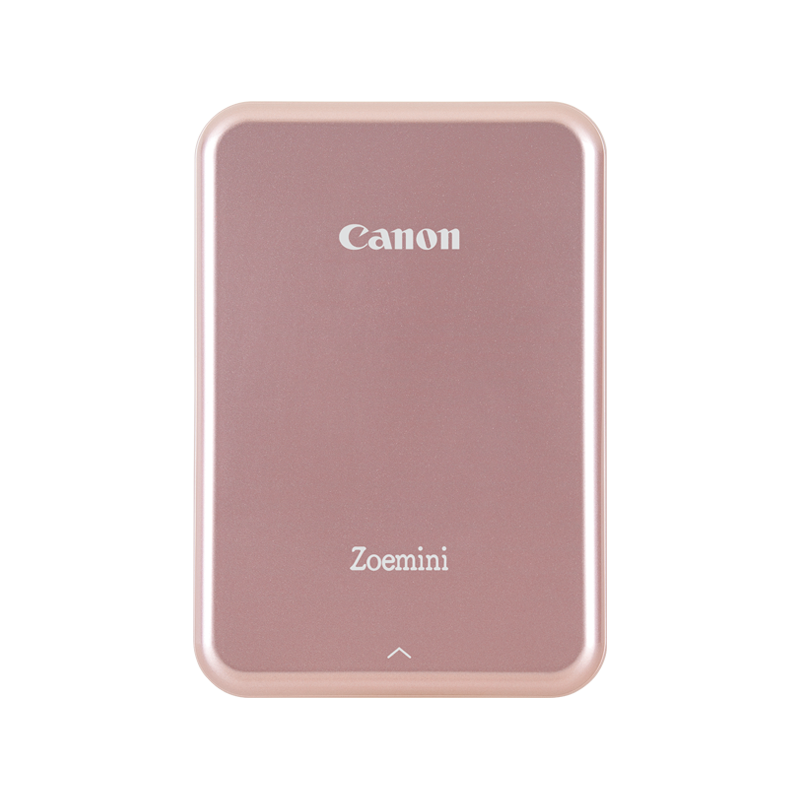 Take the perfect selfie with a built-in mirror and ring-light, connect with the Canon Mini Print app and get the ultimate group photo with its remote shutter shooting - all with the Zoemini S.
Bring on your best shots with this pocket-sized 8-megapixel camera printer. With a ring-light for sure-fire selfies, remote shutter shooting from your smartphone via the Canon Mini Print app, and instant sticky-backed prints, it’s the go-to gadget for photo aficionados. Capture and print from the same device with this clever 2-in-1. Thanks to its 8-megapixel camera, Micro SD card slot* and ZinkTM technology, Zoemini S is all you need for photos on the go. Available in Matt Black, Pearl White and Rose Gold, this lightweight camera printer is the perfect portable companion and fits easily into a pocket or bag. A front-mounted mirror and ring-light ensure your selfies are spectacular, while Canon Mini Print app’s remote shutter function makes group shots a breeze. With space for 10 sheets of sticky-backed, tear-proof Zink™ Printing Paper, it’s easy to point, print and decorate your belongings with your favourite shots. Use Bluetooth** and the Canon Mini Print app to print images from your smartphone, with lots of cool filter and collage options. You can also use the app to programme the camera with customisable sounds and self-timer setting for picture-perfect posing. *Photos taken with Zoemini S can be saved to the Micro SD card. Images cannot be uploaded to Zoemini S from the card. **The Bluetooth® word, mark and logos are registered trademarks owned by the Bluetooth SIG, Inc. and any use of such marks by Canon Inc. is under license. Other trademarks and trade names are those of their respective owners.